The latest numbers from the Toronto Real Estate Board pointed at a steady rise in the costs of purchasing a condo—once thought to represent an opportunity for home ownership among less-moneyed families—in the city. According to the Board, condo prices in the GTA have surged by 28 per cent year-over-year in Q2 2017. This represented an average purchase cost of $532,032 in that quarter, up from $415,454 during the same time last year. This stood in stark contrast with the price range that a middle-class Toronto family can afford after the introduction of new mortgage rules in fall 2016—$380,000 to $420,000 in insured mortgage debt, calculated from the average household income of $75,000. “Condo apartment sales accounted for a greater share of overall transactions during the spring compared to the same period last year. Market conditions also remained tight, which resulted in the continuation of strong annual rates of price growth,” TREB president Tim Syrianos noted, as quoted by HuffPost Canada Business. 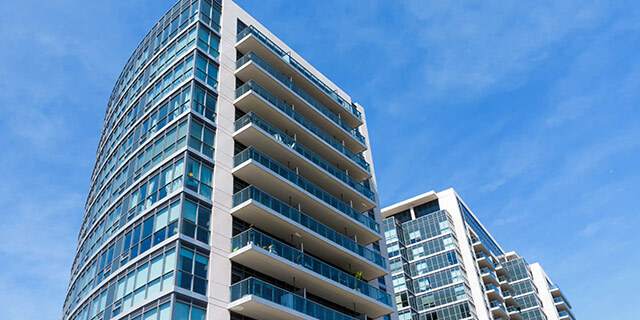 “Despite the recent dip in overall GTA home sales, the condominium apartment market was quite resilient, especially when compared to low-rise market segments,” Syrianos added. The TREB president’s statements backed the Board’s preliminary mid-month data for July, which revealed that sales activity in the Toronto market declined by 39.3 per cent year-over-year. Single-family property purchases dropped by 45 per cent in the same time frame, with the average price in that segment falling by 17 per cent from record levels earlier this year.